Today in the shops you can find different great solar devices, such as solar powered water pumps, solar powered fans, and even solar powered cameras and other. However, it may not be so clear from the first sight to understand how these appliances work. The key feature of those is the solar panel. Solar panel consists of solar cells which can capture, absorb and convert solar energy into electricity, which will make your applications function. There are different types of solar cells, though almost all of them use the photovoltaic effect. This effect is the name for the actual notion of converting solar energy into electricity. Usually solar cells convert up to 18% of the received sun-light. It may seem like quite a small number but it will be enough to make your solar powered products work effectively during the day and even store additional energy for the night times. Advantages of solar power are immense. First of all it is necessary to realize that solar power is easily accessible from almost any location in any country and is free. 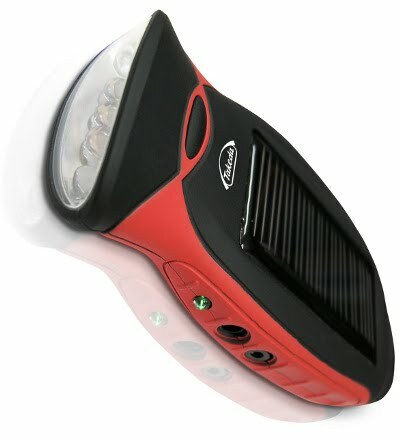 You can use solar power without any running costs, therefore alternative of solar powered products is such a great idea, because you will need to pay only one-time, at the initial stage of buying and later you will not incur any costs, no energy consumption, no battery change, just pure gaining. In such a way solar powered devices represent a great relief to your pocket. Even though initial investment may seem quite high, but be sure that it will all pay off in the next couple of years of usage, and you are buying your solar powered product for potential use in the years to come as well, therefore it is a great investment for future! Additionally solar powered devices are very easy in installation and relocation. Since they do not require any wiring or cables, so you can place them anywhere and also relocate them any time you are feeling like doing this, without any harm to your loan, garden or house. You should also keep in mind that solar energy is an alternative source of power and it is very safe for our environment as it doesn’t need any harmful fuels for making devices to work and doesn’t emit any dangerous gases. Though, you should pay attention to the fact that solar powered products need sun-light for their successful operations, even though some solar cells are now capable of producing electricity even during bad weather or cloudy times, it is still vital that your solar cell will be placed in the best location, under direct sun-rays so as you could get the most out of it. Solar power can be used everywhere, from powering your whole household to smaller electronic devices. It can also help you charge your electronic devices in the situations where electricity is not easily accessible. From the greatest solar products you should consider acquiring a solar powered charger or solar powered air conditioner or heater for colder times.